Michael Delman, CEO of Beyond BookSmart, shares insights with parents from his new book, Your Kid's Gonna Be Okay. Parents will learn tips and tools from a lifelong educator and expert in Executive Function intervention - and reassurance that their kids will be okay when equipped with the skills they need today and for the future. Event sponsored by Hoboken Public Schools as part of their Passport to Adult Learning Speaker Series. Proceeds go toward funding after school activities for Hoboken Public School students. A day of workshops for parents, with a keynote from Lynn Lyons, LICSW, Preventing Anxiety and Depression: Skills We Can (and SHOULD!) Be Teaching Our Children. Workshop with Beyond BookSmart coach Jenne Flewelling, Executive Function Strategies for Success in Middle School and Beyond. Michael Delman, CEO of Beyond BookSmart, shares insights with parents from his new book, Your Kid's Gonna Be Okay. Parents will learn tips and tools from a lifelong educator and expert in Executive Function intervention - and reassurance that their kids will be okay when equipped with the skills they need today and for the future. Michael Delman, CEO of Beyond BookSmart, speaks with Dave Leonard of KYNT Alive at 5 radio show. Michael discusses the skills that students need to be independent and effective and provides advice for how parents can build these capacities in their children. Michael Delman, CEO of Beyond BookSmart, speaks with Elaine Taylor-Klaus of ImpactADHD. Michael discusses the 2 major categories to think about when it comes to managing attention: blocking distractions and sustaining focus. Several tips and strategies are shared to help anyone who struggles to maintain productivity in the age of distraction. Michael Delman, CEO of Beyond BookSmart, speaks with Faune Riggin of KZIM/KSIM in St. Louis, MO. Michael Delman, CEO of Beyond BookSmart, speaks with Tameka Montgomery of Raising Entrepreneurs. 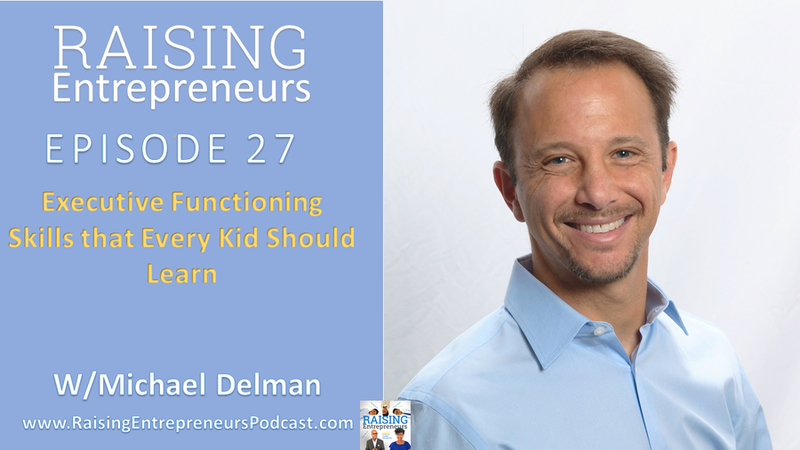 Michael discusses the the skills students need to be independent and effective and gives some specific advice for how to minimize distractions, manage emotions, get organized, and much more! It's harder than ever to stop a teen with ADHD from procrastinating. How can we we support our kids, teach them to put the distractions aside, and motivate them without overwhelming them? Michael provides techniques and tools to help motivate students without pushing them too far. Michael Delman, CEO of Beyond BookSmart, speaks with Bob Brooks of Prudent Money Radio Show about how parents can help kids gain skills that help them manage their finances as well as manage other parts of their lives. Learn more about requesting a presentation in your area.